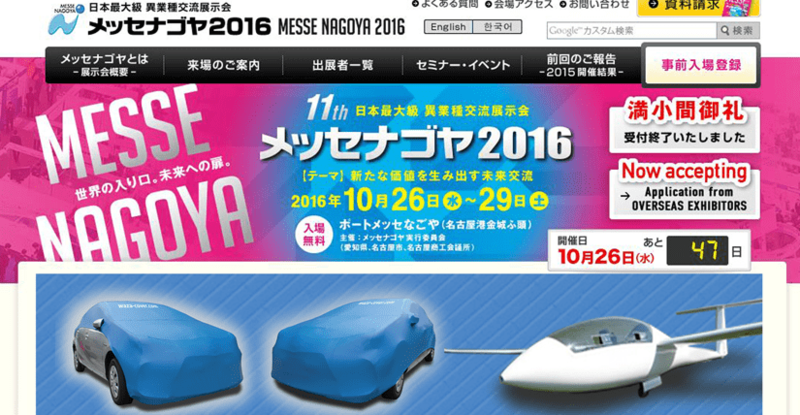 The“WAZA-COVER”booth is displayed at Messe Nagoya on October 25-29 2016. This is the Exhibition of Japan’s largest cross industry exchange. In the indoor booth, video broadcast, flyer distribution, performs a sample exhibition, we will introduce the superior technology of WAZA-COVER. In the outdoor booth, we will introduce the attaching the cover to the car. To attach and detach the actual cover you will you experience the different dimension of the cover. Of the glider cover miniature it is also planning to exhibit. Learn from the following site for details information. We are looking forward to see you in our booth. Thank you. ← We opened the Tagalog site. WazaCover for Cessna 172P type was completed. The cover for the Beechcraft Bonanza E33 has been completed. WazaCover for Motor Falke was completed and delivered to Makabe gliding field. WazaCover for Lexus RX has been completed.